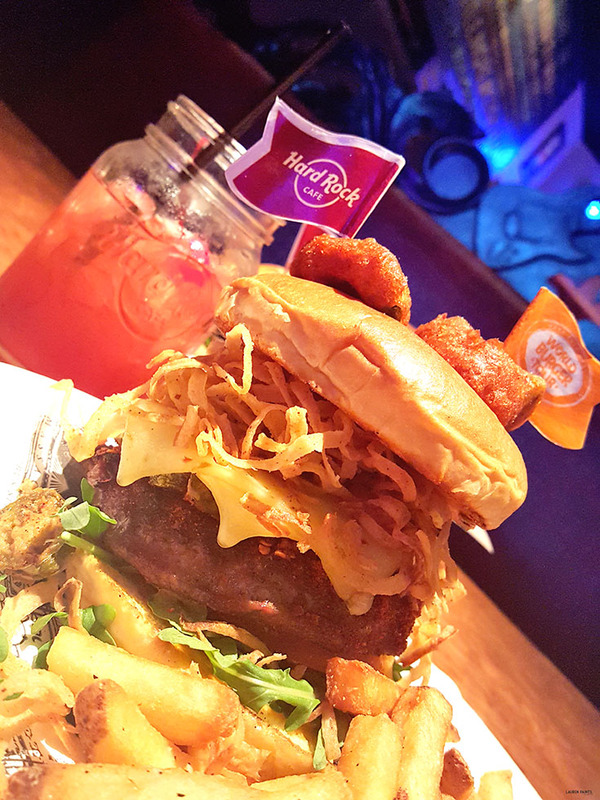 My World Burger Tour Experience at Hard Rock Cafe! Thanks to Hard Rock Cafe for sponsoring today's discussion, regardless all opinions expressed below are completely my own. 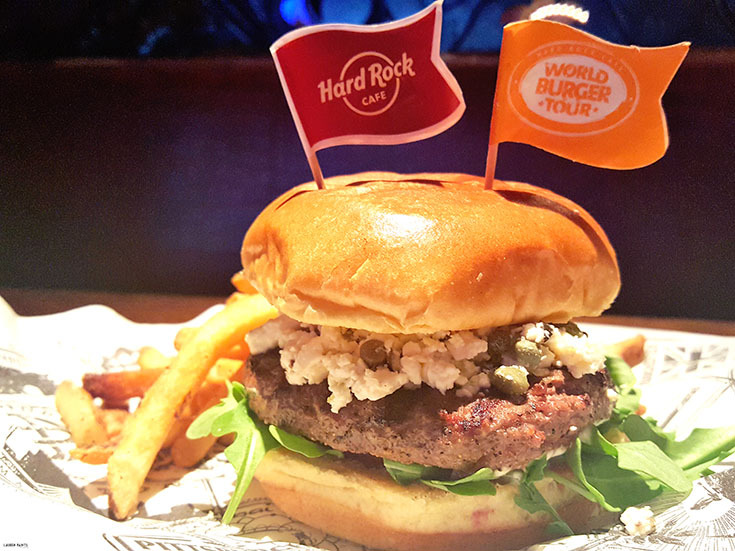 Remember when I mentioned that I was super excited about Hard Rock Cafe's World Burger Tour? Well, I finally had the chance to try out one of the many burgers at lunch earlier this week and I must admit, it was amazing! 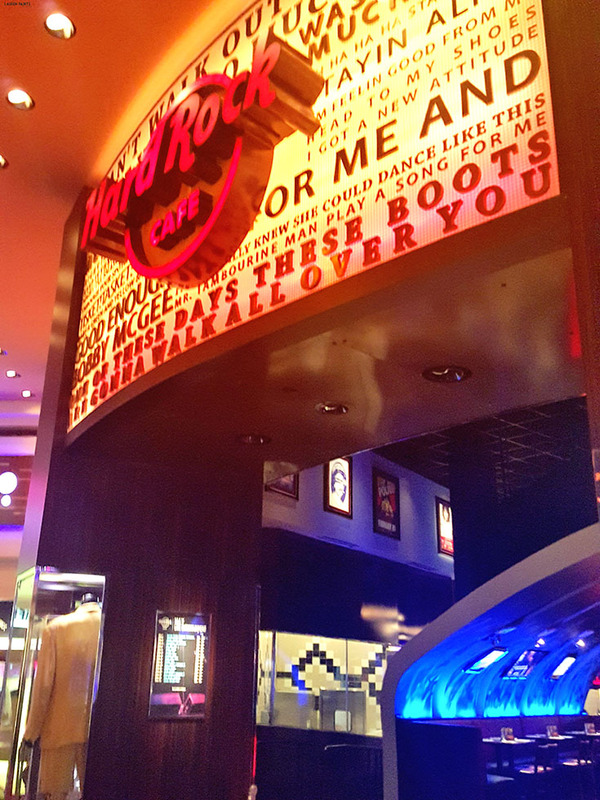 We took a short little drive to Tampa and walked around Hard Rock Casino for a little - with all kinds of memorabilia, it was like visiting a museum! 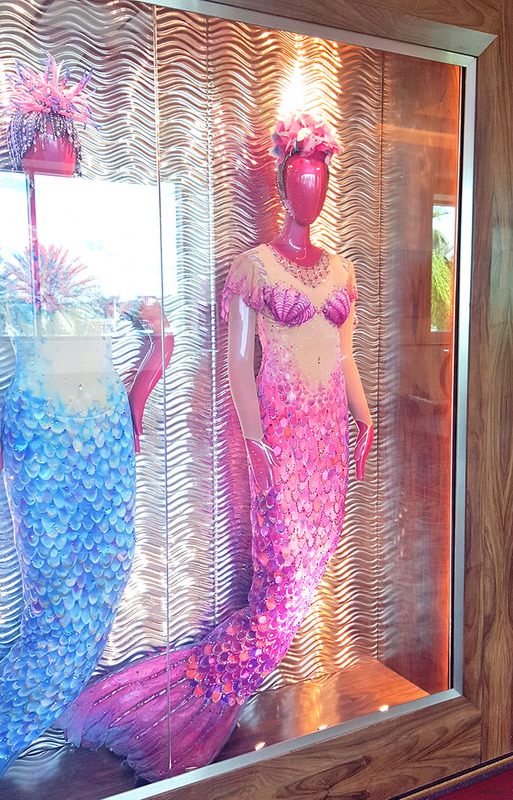 We were able to see a ton of costumes, golden records, and we even spotted some mermaids on our adventure! After exploring the casino some, we were getting famished and decided to "travel the world", or should I say, we were able to go on a little culinary adventure?! With so many options, it took us a minute or two to decide which burger would be the most delicious for each of us... but then, when I saw the Atomic Burger from Las Vegas I knew that was the one for me and when hubby saw the Greek Burger he immediately decided that was the burger he wanted! We also decided to order some refreshments, because why not?! While I'm expecting and can't indulge in any adult beverages, I was able to order the Black Cherry Melonade which was superb and so sweet, it definitely hit the spot. Hubby was a go-getter and decided to get the "All Jacked Up" after our server suggested it, they both said it's super delicious and pineapple-y so it also won a stamp of approval! 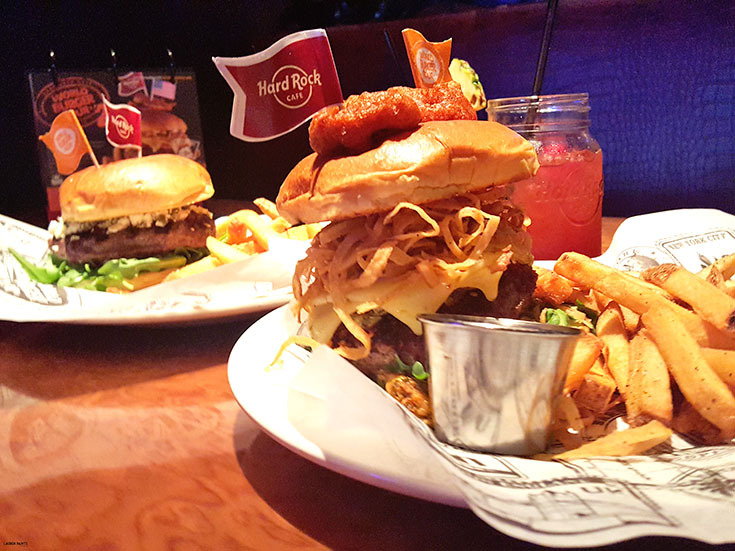 When our food came out, we were overwhelmed by the size of the burgers, they are HUGE. My burger was brimming with deliciousness... The Atomic burger is truly atomic with beer-battered jalapenos on the tippy-top of it and smothered in pepper jack cheese & caramelized onions, as well as mushrooms and chipotle mayonnaise - it's the perfect mixture of everything delicious and absolutely mouth-watering if you're a spicy food lover like myself. While the burger was nearly as big as my head, every bite was absolutely amazing and I'd order it again in a heartbeat! 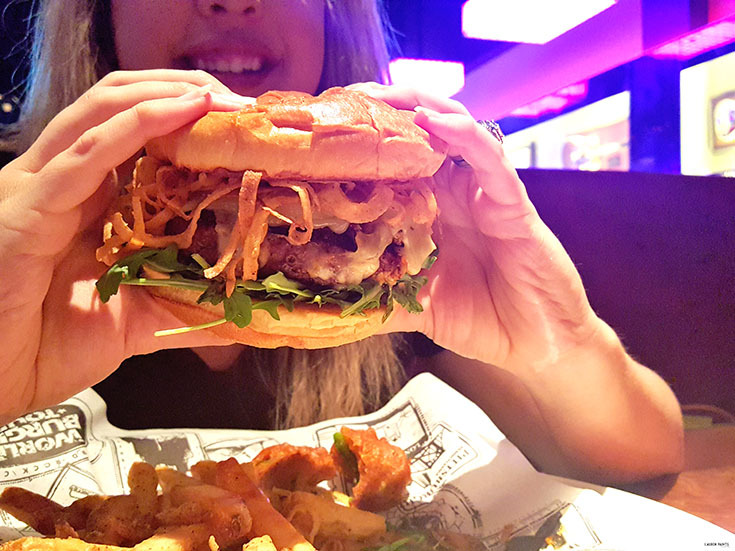 With such big burgers, you wouldn't think we could have even stomached any of our fries, but we did... and they were also delicious! My batch of french fries was served with chipotle ketchup to match my spicy burger and hubby got a side of tzatziki sauce to match his Greek burger - the perfect condiments for fresh fries and superbly delicious with each bite of our burgers! 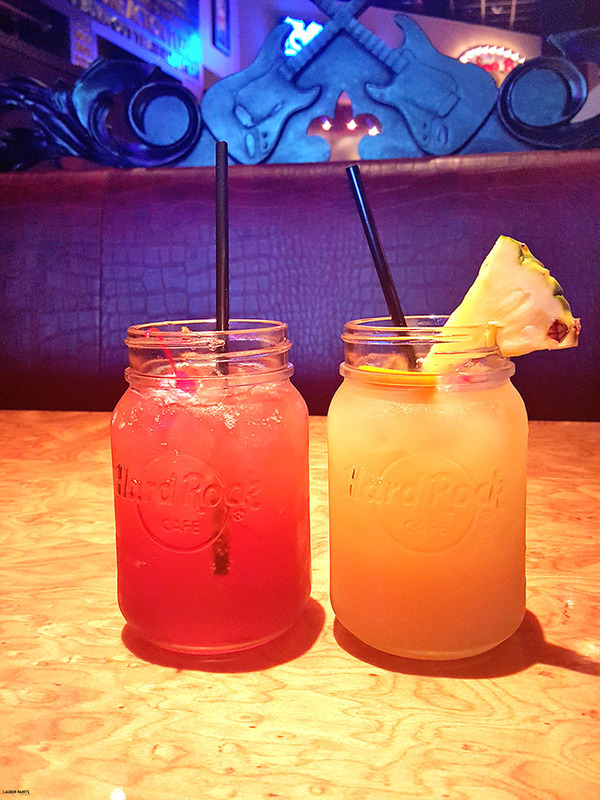 It's safe to say we had a blast at the Hard Rock Cafe on our most recent visit and the food was amazing! We're actually planning to visit again soon so we can try the other burgers on the World Burger Tour menu, before the festivities end! All the fun ends June 30th though, so don't miss your chance to travel the world, one burger at a time! 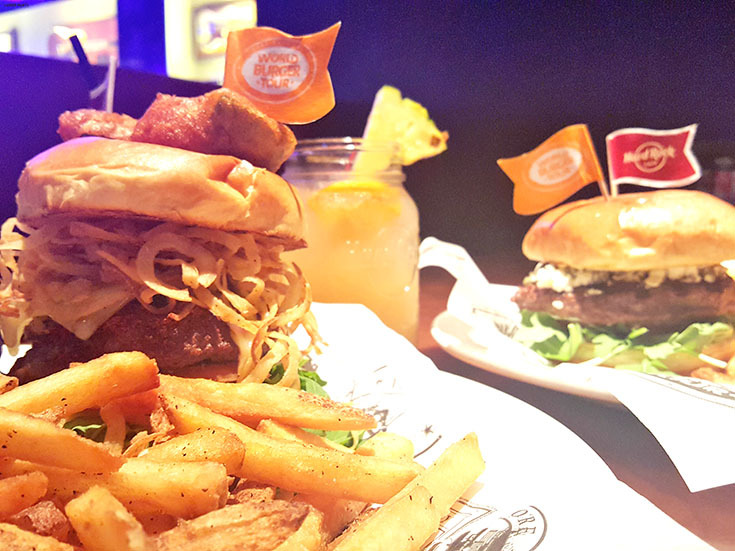 So tell me, which burger do you think you'll try first? I highly recommend the Atomic Burger but I bet they're all delicious!